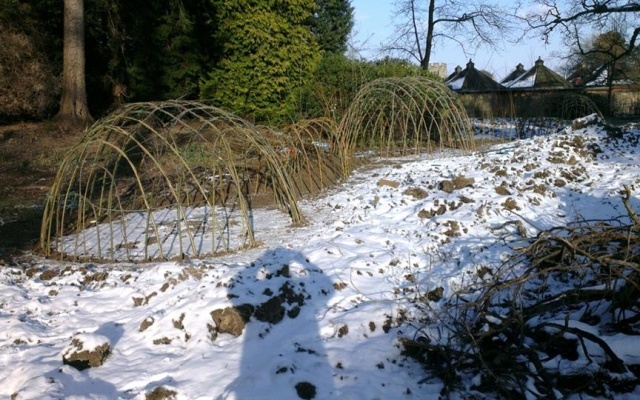 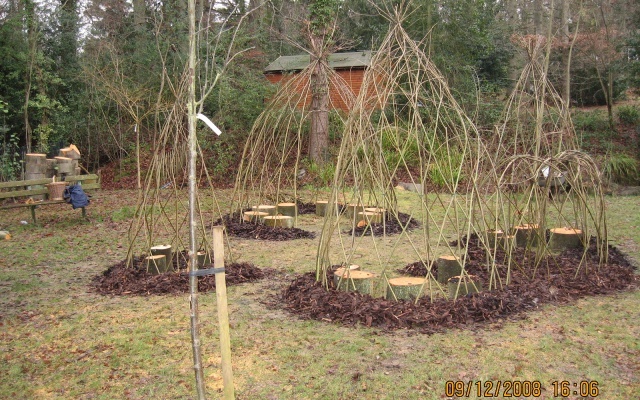 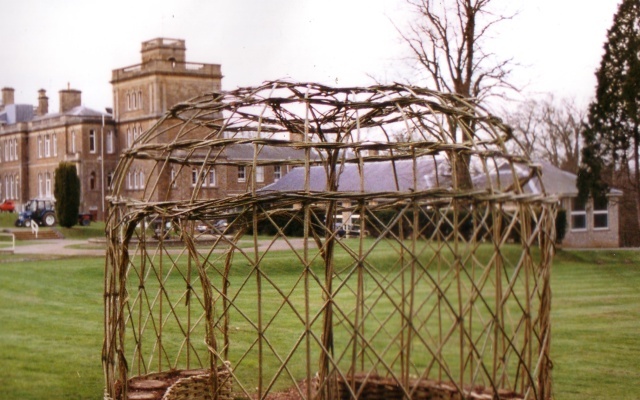 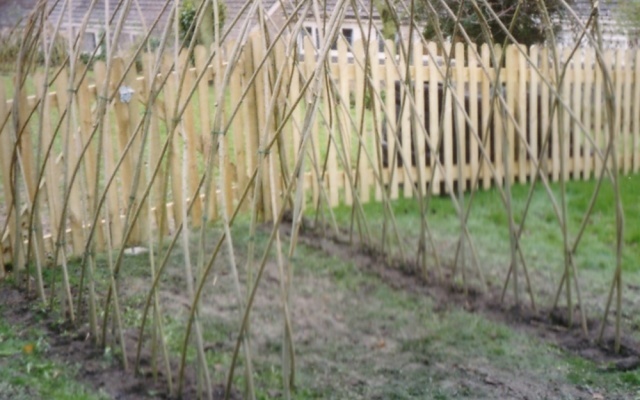 Living willow can be used to create seats, fences, bowers, summerhouses and pretty much any shape of shelter! 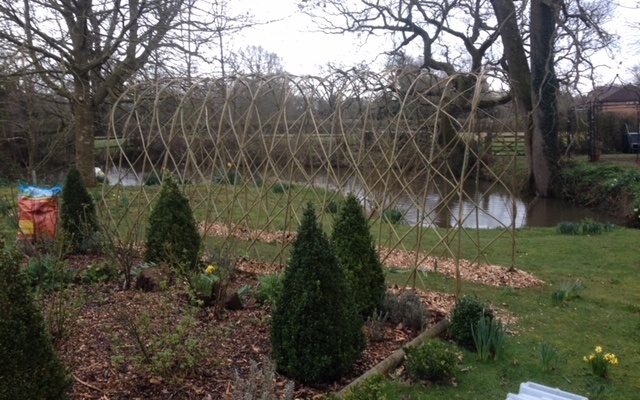 All the willow we use has been grown organically at Bore Place in Kent. 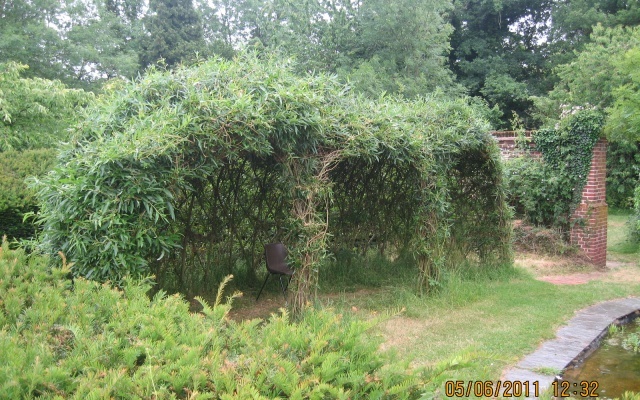 A seat with back rest and hood to produce leafy shade. 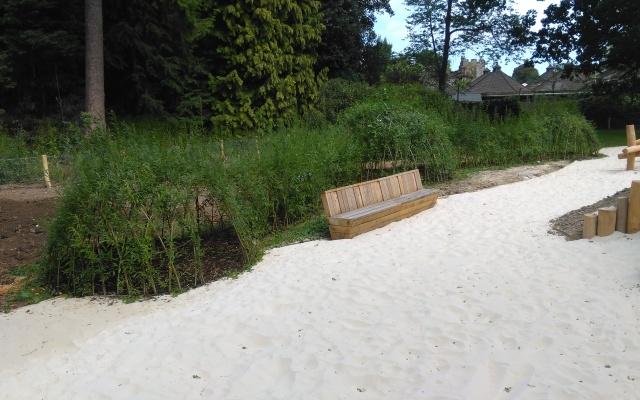 Single seats and benches available. 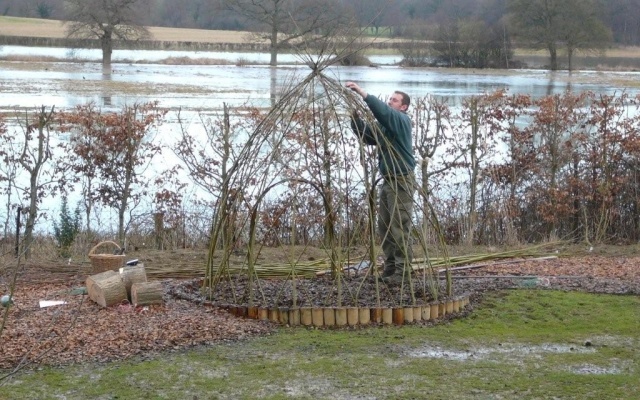 Plant the seat with turf or chamomile…or use an oak slab with bark mulch. 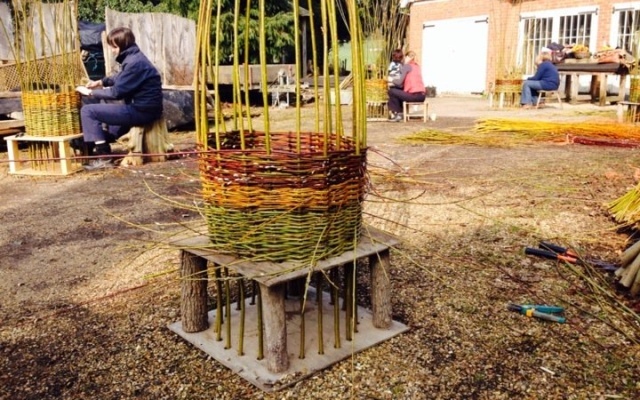 A single seat can be planted yourself – larger seats need to be woven in situ. 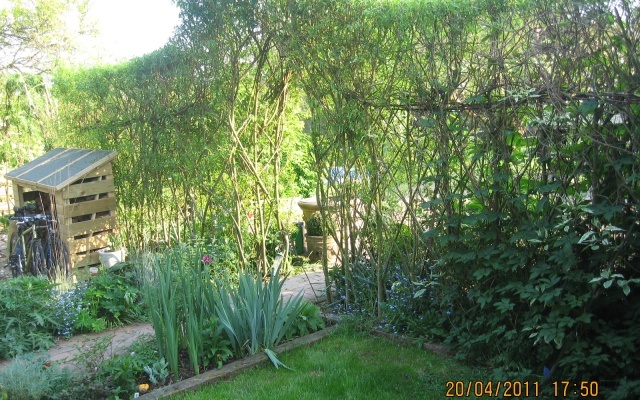 These are woven in situ from £175.00 – benches available to fit – see the Garden Benches page. 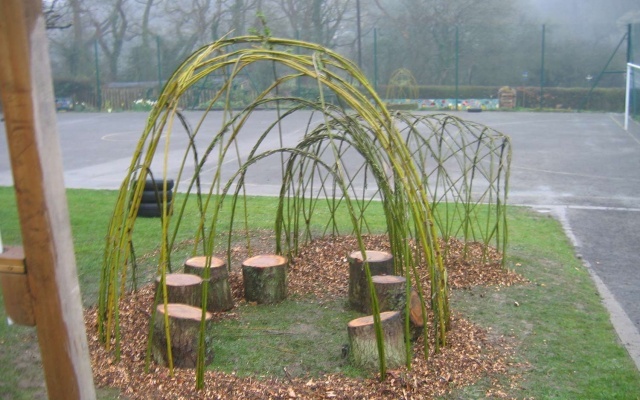 Please click here for additional information for schools. 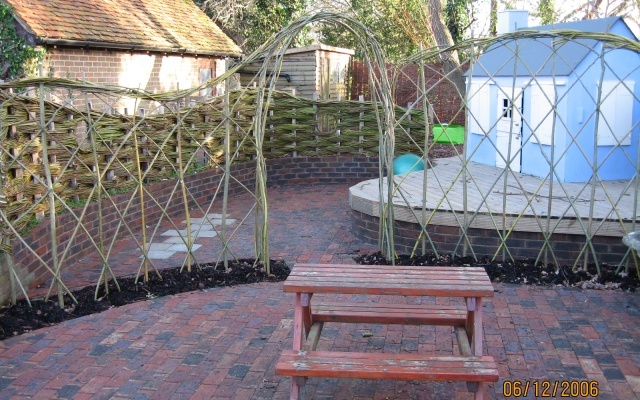 Living Willow requires minimal maintenance – click here for maintenance information. 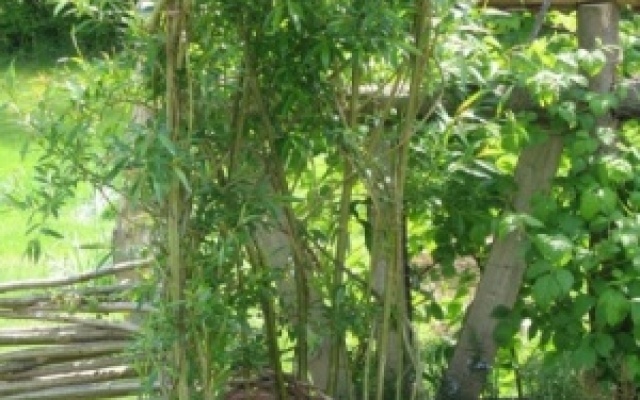 They can be planted once the leaves have dropped off the willow (normally November) and before the willow starts growing again at the beginning of April. 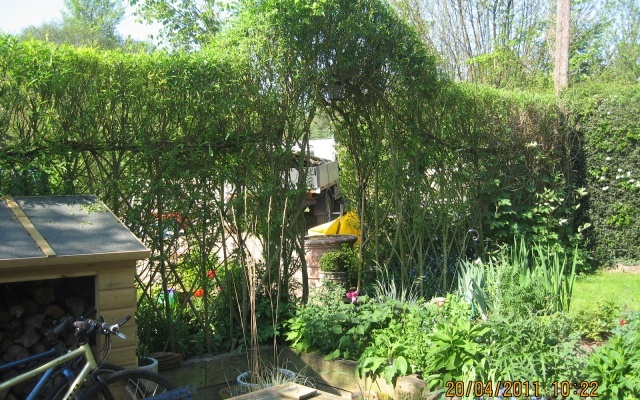 They require a clear, open site with minimal competition from large trees. 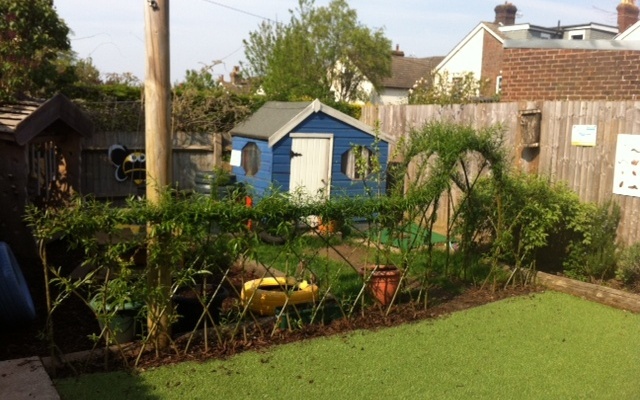 They are planted into soil or turf – and need to be clear of drains etc. 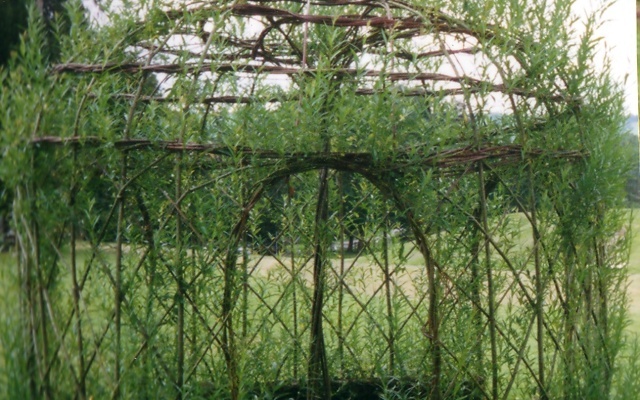 Once established, willow will grow vigorously given the right conditions. 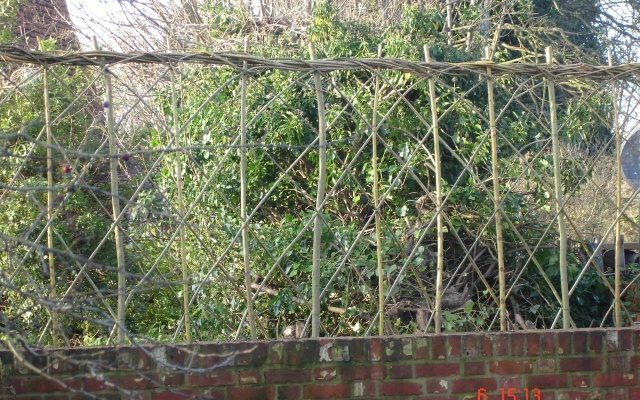 Top growth can be carefully woven back in, or you can trim the shoots two or three times a year. 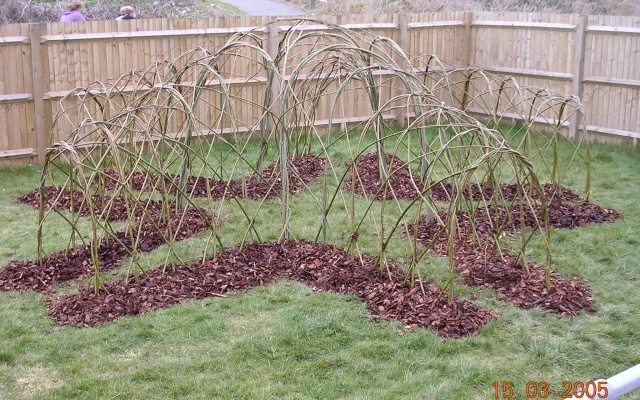 Finally, if you are after your own crop of willow, the shoots can be left until leaf fall and harvested once a year. 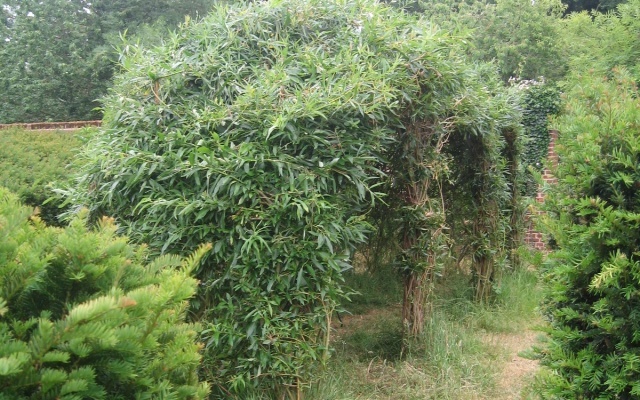 If you have an existing living willow structure that needs bringing back under control, please contact us as we should be able to help. 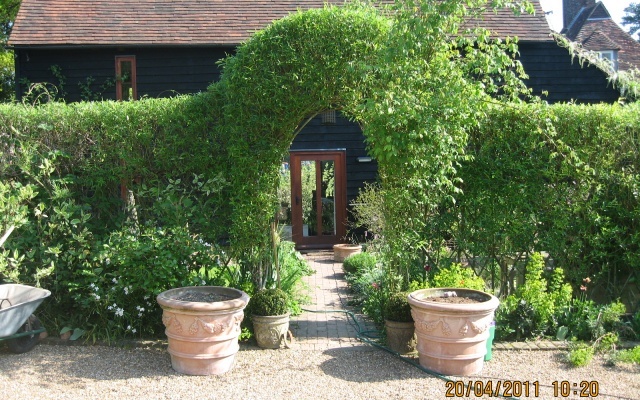 In the first instance, you will need to send through a photograph.